Weald Foundation has performed all their detailed work on the back of extensive research, but it has failed to provide answers to some straightforward questions from members of the public. One of these questions is – what was the split of Hotchkiss M1914 Mitrailleuse tanks to the Puteaux 39mm Canon tanks in a unit? Another was – were the Renault TSF tanks actually part of the tank unit or were they completely separate? These two questions do not concern the tactics or deployment of these tanks in the field – rather the makeup of the units themselves. 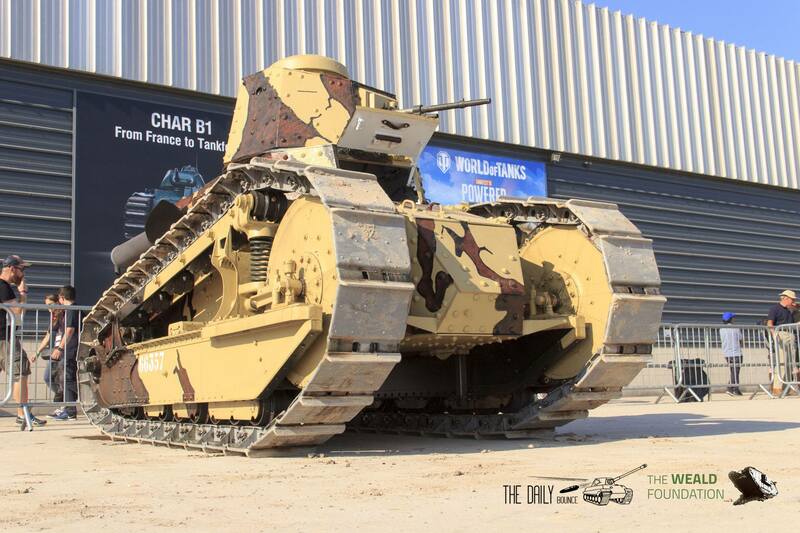 There is a significant amount of archive material on the Renault FT, 37mm and MG, but not much on the Renault TSF. A lot of the detailed material on both the FT and TSF is unfortunately post-war in origin and is, therefore, suspect when considering WW1 specifics regarding unit makeup or deployment. One very good example of this is the Manual Pratique du Char Renault written by Captain Goutay and dated 1922. This is undoubtedly the result of many years of experience in operating these machines and has allowed systems and approaches to evolve and be fine-tuned over time. What happened in 1918 is of more consequence for us – how did tactics and doctrine develop during the war in 1918? One manual provides a glimpse into the use of the Renault FT in 1918. It is titled Instruction provisoire sur la manœuvre des unités de chars léger – Provisional Instruction on the Manoeuvre of Light Tank Units. A key point is that it is dated 24th June 1918. The answer to both questions is contained in the text. The Weald Foundation have taken the liberty of translating the relevant area directly and providing the text in full. Company. The company, a technical and administrative unit, consists of three identical combat sections (troops/platoons) and an (support?) echelon with personnel and material for replacement, repair, breakdown and refuelling. A tank is also available to the company commander. A TSF tank in each company is at the disposal of the battalion commander. The section (troop), commanded by a lieutenant or sub-lieutenant, includes 6 tanks of combat, namely: 1 37mm for the (troop chief) chief of section, 2 half sections each including 1 tank of 37mm and 1 tank machine gun and a tank of 75mm (not yet in use). Each tank is crewed by 2 men: the tank commander, who is at the same time a gunner, and the mechanic, who drives the tank. The tank crew of the T.S.F is 3 men, 1 tank commander, 1 radio operator and the mechanic/driver. The echelon, commanded by a lieutenant or sub lieutenant, comprises 5 tanks of manoeuvre and replacement (3 tanks-guns of 37mm, 2 tank machine-gun) and 3 supply tanks of supply (2 tank of 37, 1 tank machine-gun). The total strength of the company is 115 men, including 5 officers, 15 non-commissioned officers and 18 brigadiers. It will be increased by 3 NCOs and 6 men during the commissioning of the 75 gun tank. Battalion – The light tank battalion consists of 3 companies and a staff headed by the first battalion company. This staff includes: 1 battalion commander, 1 tactical assistant who assists the battalion commander in combat, preparation, engagement and rallying; 1 technical assistant in charge of equipment and refuelling. When the units are equipped with TSF tanks, a liaison officer will be attached to the battalion commander. Regiment – The battalion is attached to a regiment of A.S (Artillerie Speciale) whose colonel is corps commander. The regiment includes a variable number of light tank battalions and medium or heavy tank groupings. This article was brought to you by The Weald Foundation. To support this amazing charity you can become a member and have access to more articles and details about their work.